The world’s market leader of mobile phones, Nokia is entering PC industry with its new Nokia Booklet 3G, the Windows based netbook which features Intel Atom processor, 10-inch glass HD ready display, Bluetooth, 3G/ HSPA, Wi-Fi, HDMI port and A-GPS, encased inside an ultra-portable aluminum chassis, providing users a rich experience of a full-function PC. According to the company, Nokia’s first netbook – Nokia Booklet 3G, brings a variety of rich Ovi experiences to life, whether its access and playback of millions of songs through Nokia Music Store, or enable full sync with your Nokia smartphone, thanks to Ovi Suite. The new stylish Nokia Booklet 3G which measures slightly more than 2cm thin and weighs 1.25kg can support up to 12 hours of battery life, and its key specifications, availability and pricing are scheduled to be announced at Nokia World on September 2, 2009. 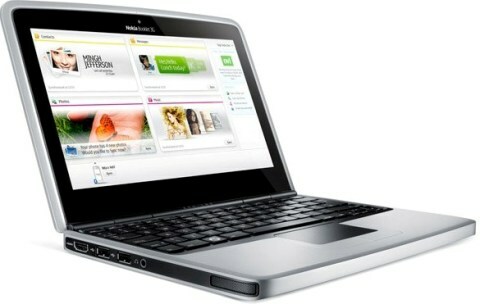 Watch the demo video of Nokia Booklet 3G below.